The AQUAtivaT Spectra Twin with Chlorigon provides you and your family with an unlimited supply of water without lime and hard water problems, while the Chlorigon filter removes chlorine, chloramine, and other unwanted tastes and odors. The new AQUAtivaT Prism with BioGuard provides you and your family the best tasting and highest quality water available. 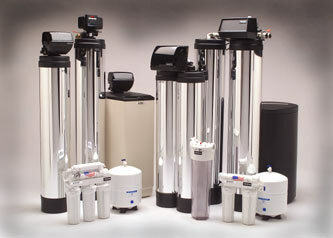 A unique combination of high level filtration, activated carbon, reverse osmosis and ultraviolet light make this unique product the drinking water system of choice for those concerned about the water their family consumes.